Have you been cited by the City of Chicago or concerned that you will be? 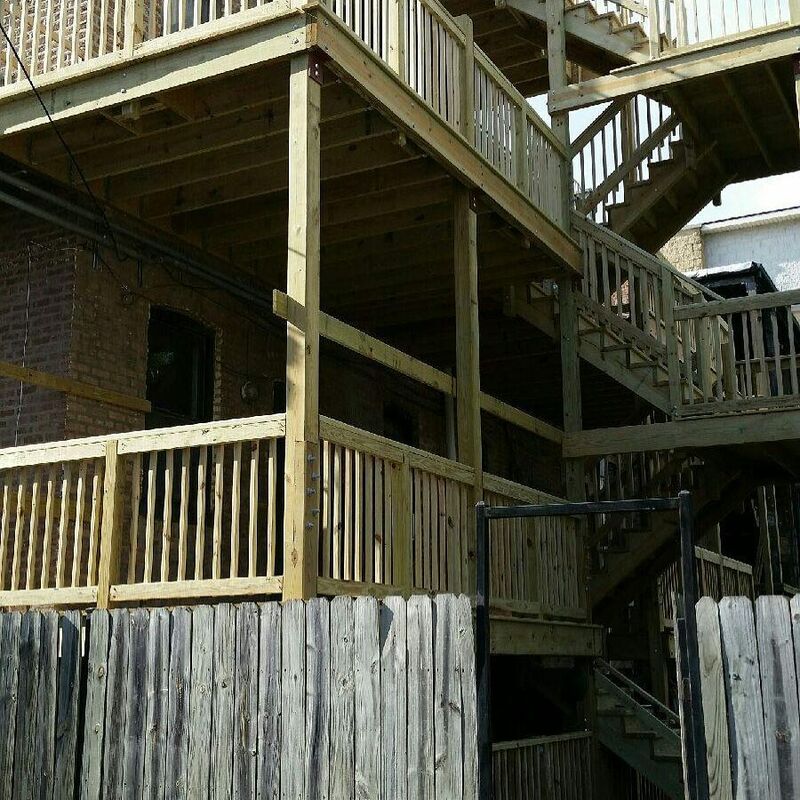 Lumber 1 specializes in correcting code violations. We can assist you in the decision to repair or rebuild. 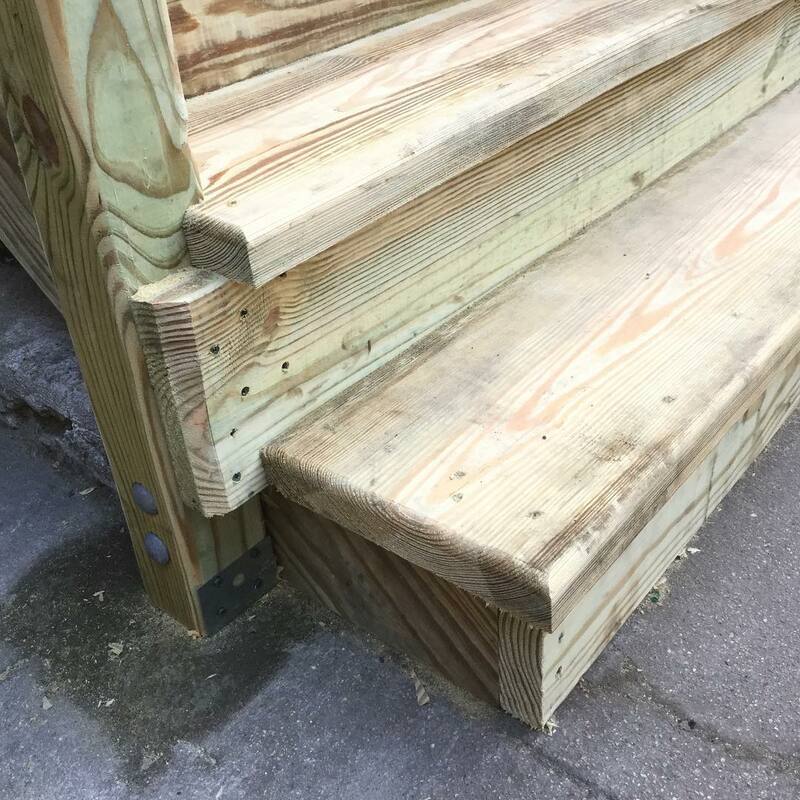 We have addressed hundreds of projects and use that experience every day to bring our projects within compliance in the most efficient and cost effective manner. 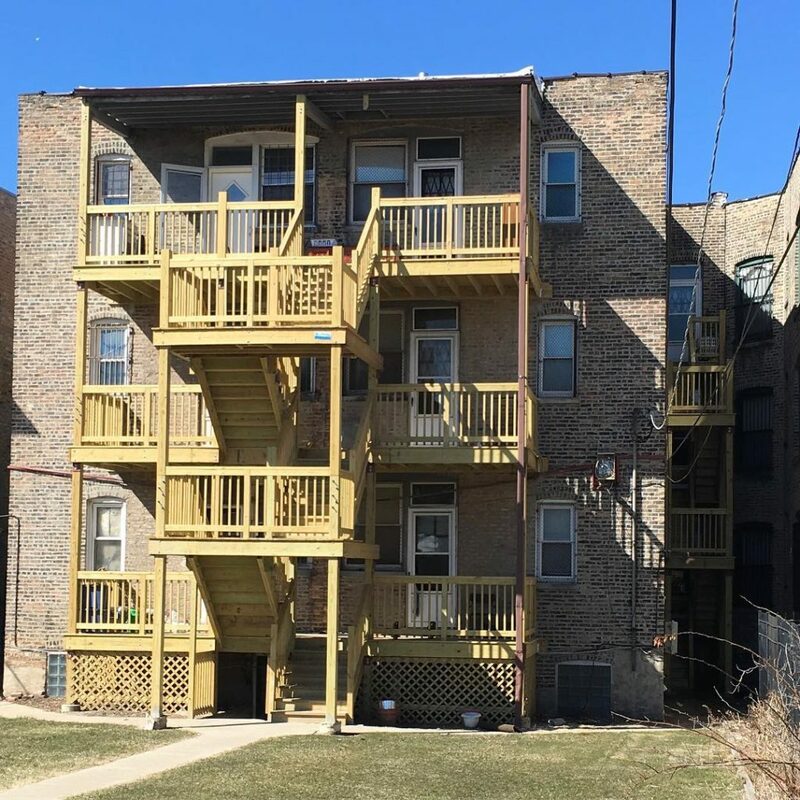 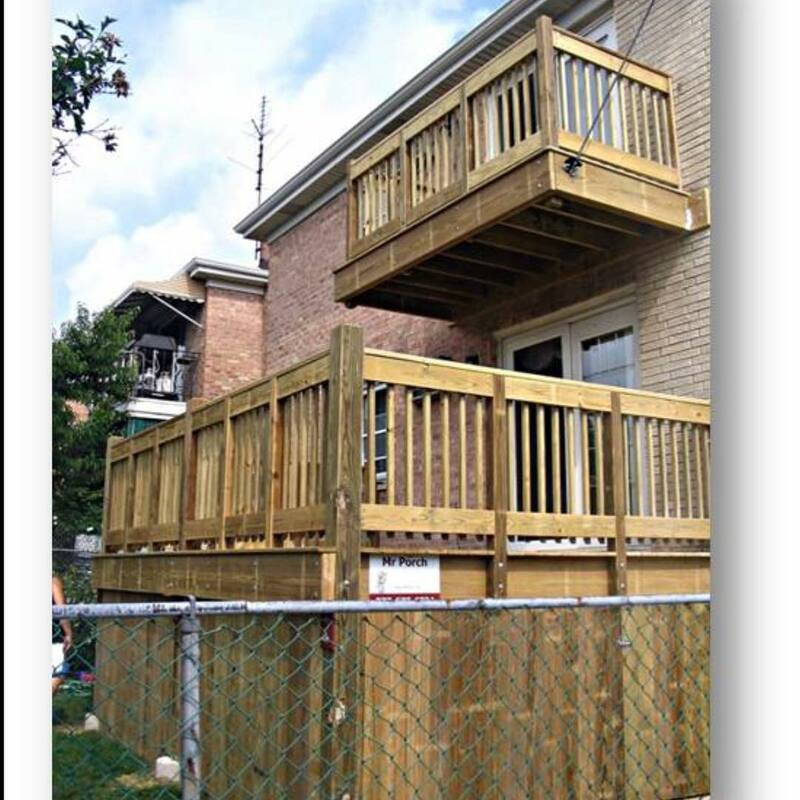 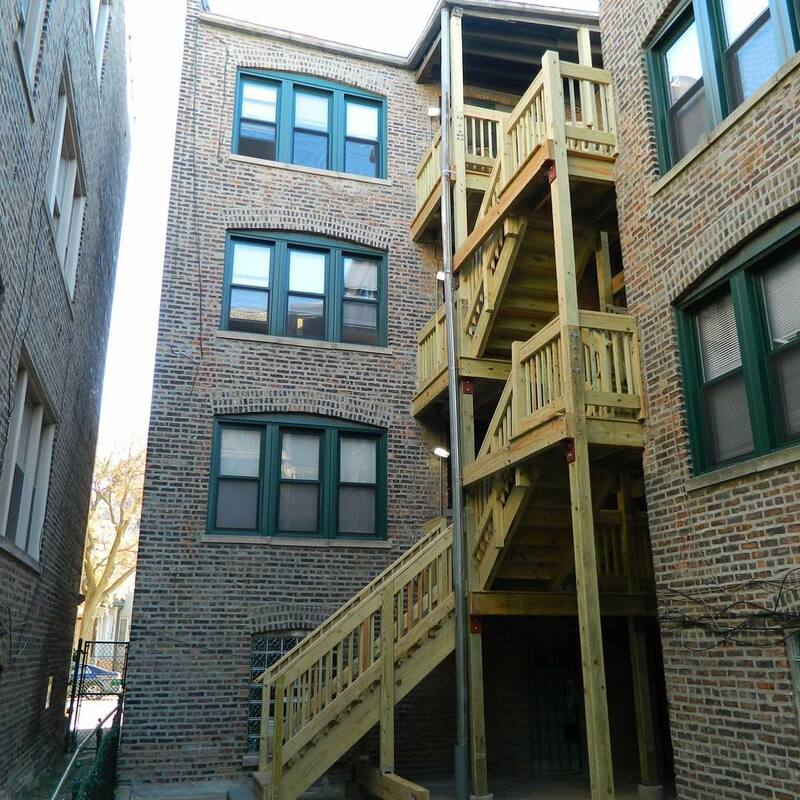 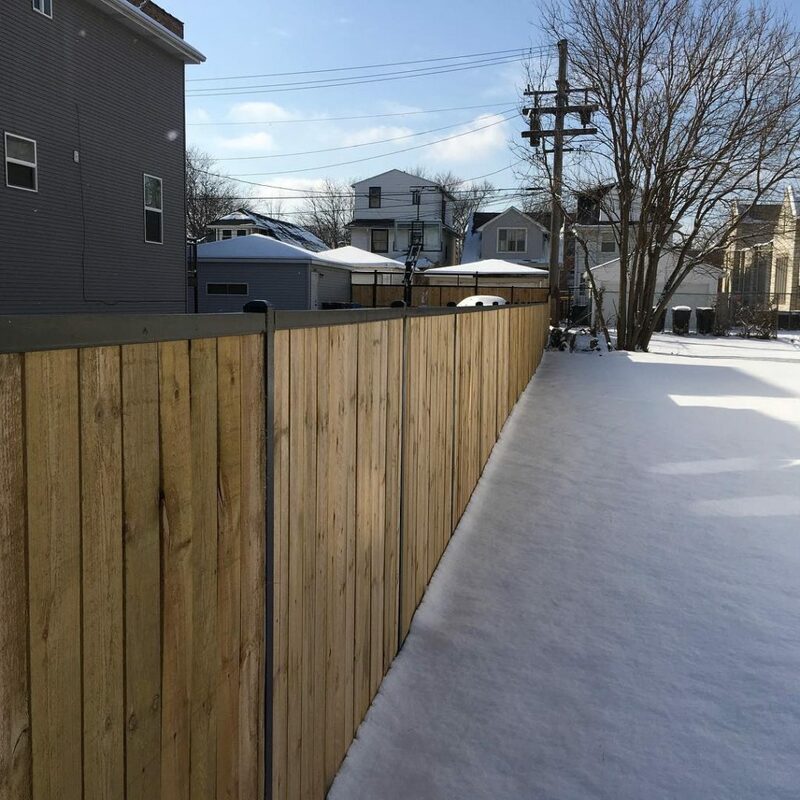 Since the well publicized porch collapse, the City of Chicago has made porch construction requirements much more stringent. 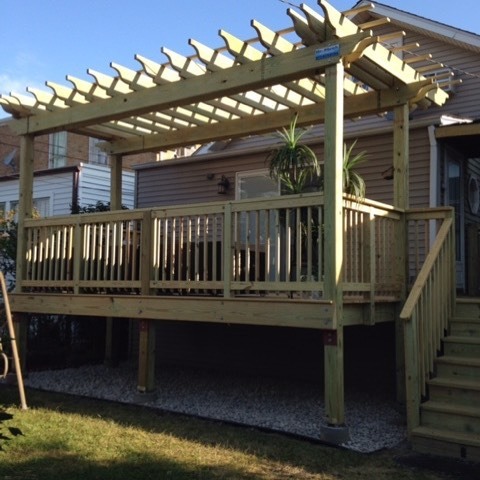 For example; structural elements were to be designed for a live load of 40 pounds per square foot (psf). 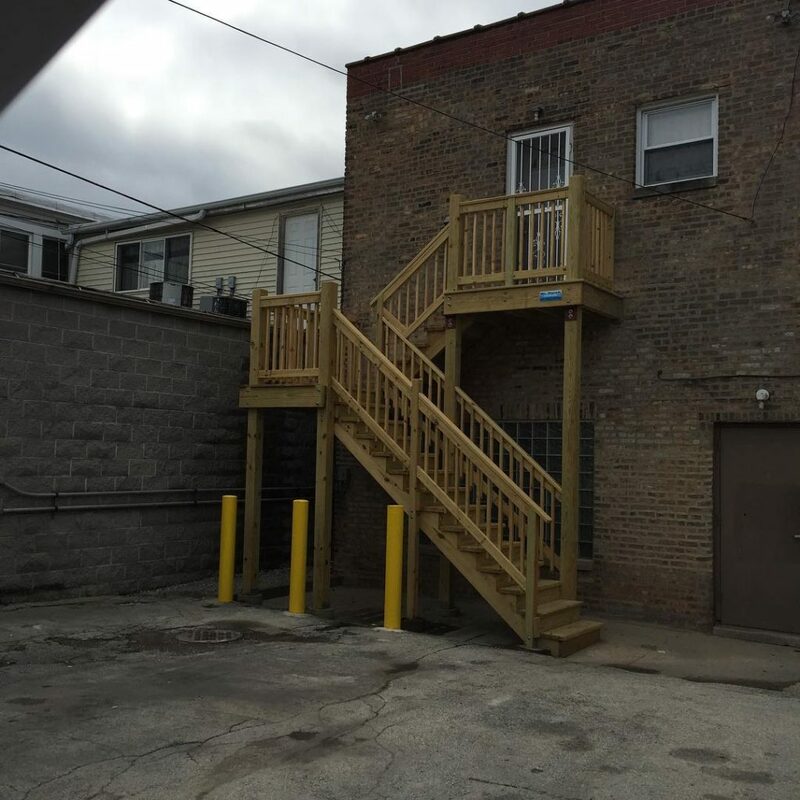 The new requirement is to design for 100 psf. 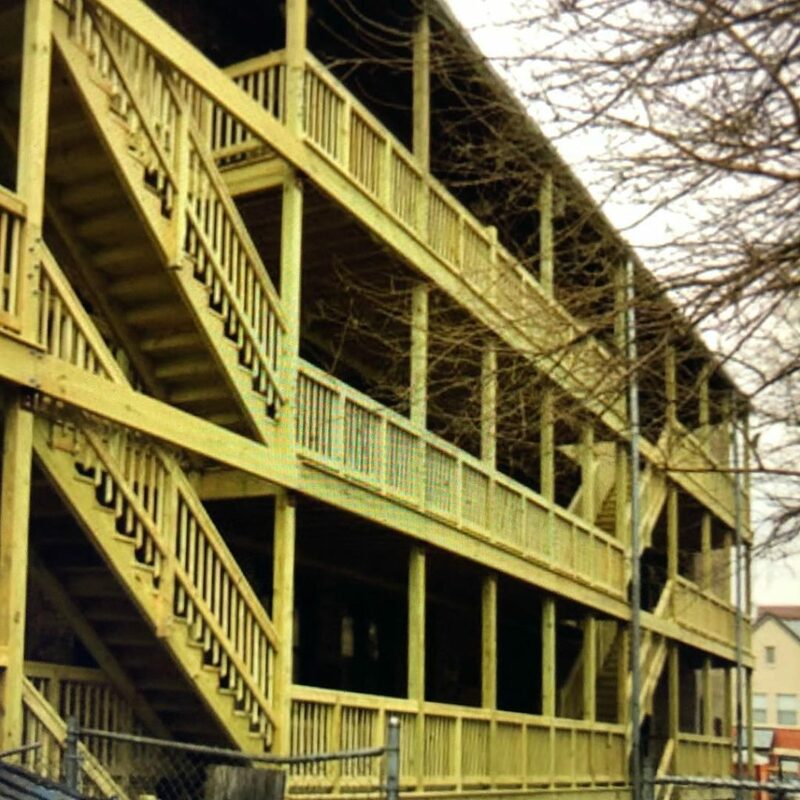 What this means is that many elements of even a well designed and constructed porch are no longer considered adequate and compliant. 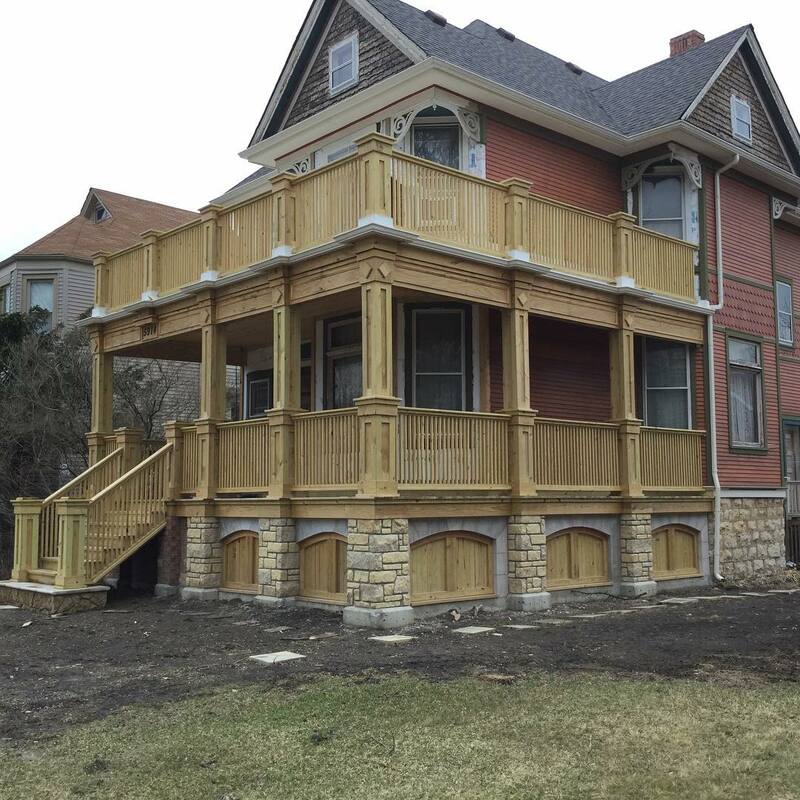 The new standards affect almost all porch elements including; the concrete piers that the support columns rest on, the columns themselves, beams, splices, connections, handrails, guardrails, etc, etc. 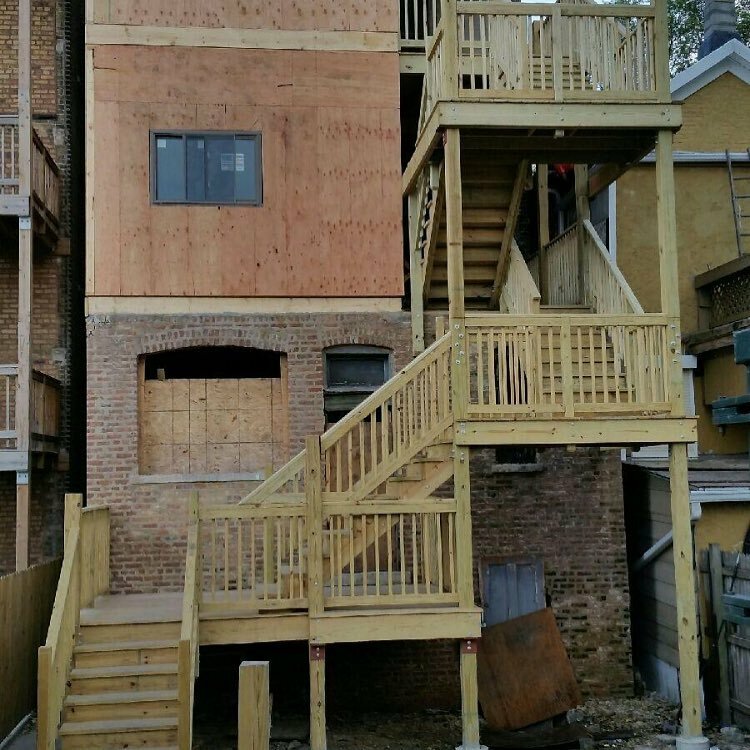 Because this is a health and safety issue, there is no “grandfathering” of existing construction. 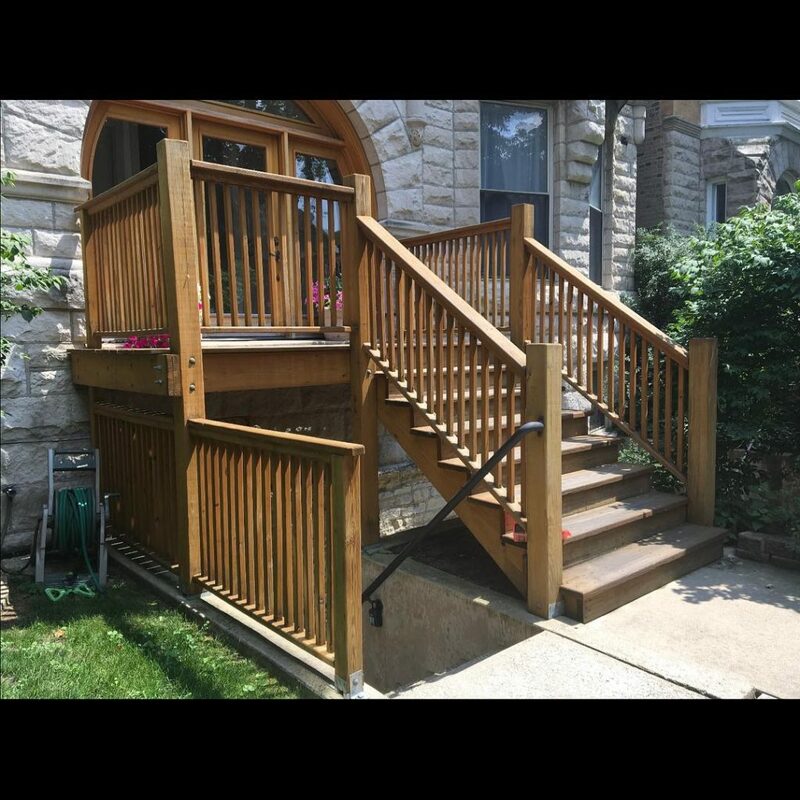 We will explain the entire process, from the options available to you to city codes, permits and finally, the inspection/approval process so you are empowered to make educated and sound decisions all the while knowing that your porch is safe.